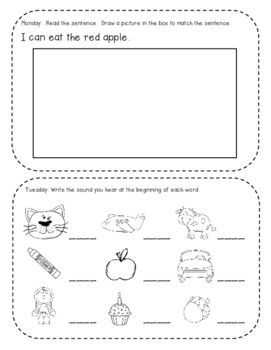 This kindergarten homework packet is based on Common Core ELA & Math standards for the month of September. 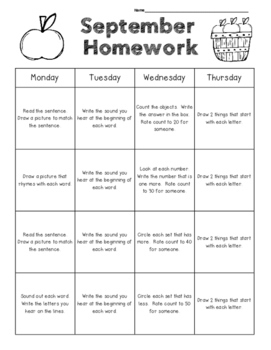 The first page features a calendar with the description of an activity for each night of the week (Monday through Thursday). 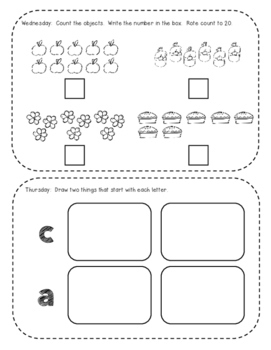 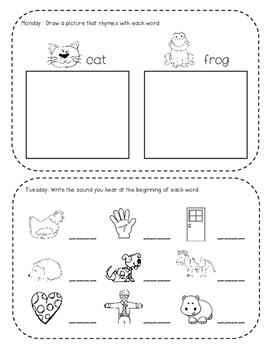 The remaining pages include the actual activity and a place to for the child to record his or her answer or response.